Guys, my fabric stash is out of control! I can't fit any more Expedits - sorry, Kallaxes - in my world, so I fear it's the excess fabric that needs to go. Plus I've finally admitted to myself that I won't be able to sew through it all in this lifetime. I know. 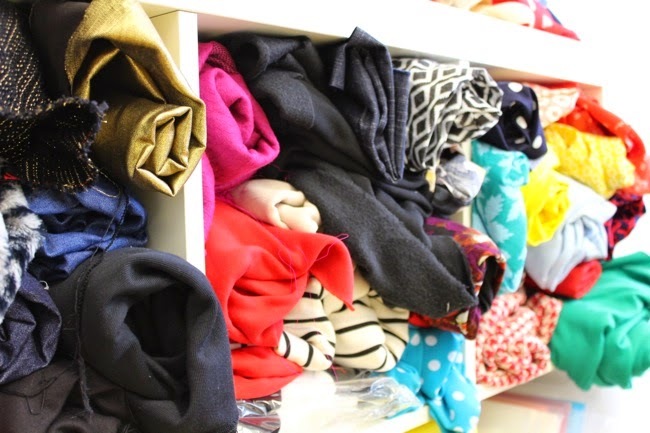 What do you do when you have too much fabric in your life? I asked this question on Instagram a few weeks ago while writing my column for new magazine Simply Sewing - thanks so much to everyone who contributed ideas for using up fabric, from making bias tape to pin cushions. 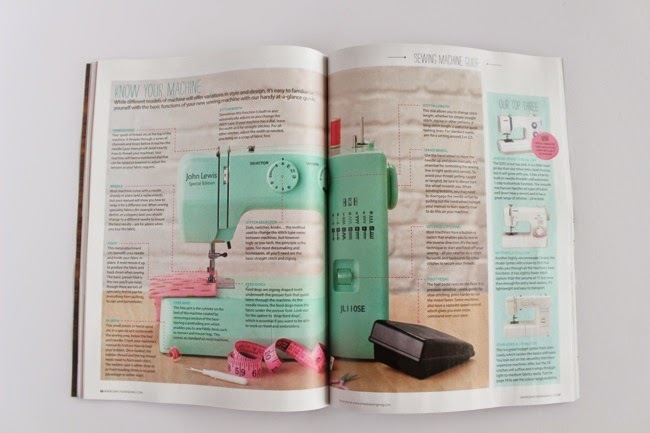 Have you seen Simply Sewing magazine? It was a gamble signing up to write a column for a mag that I hadn't seen before, but I'm really impressed with the first issue. 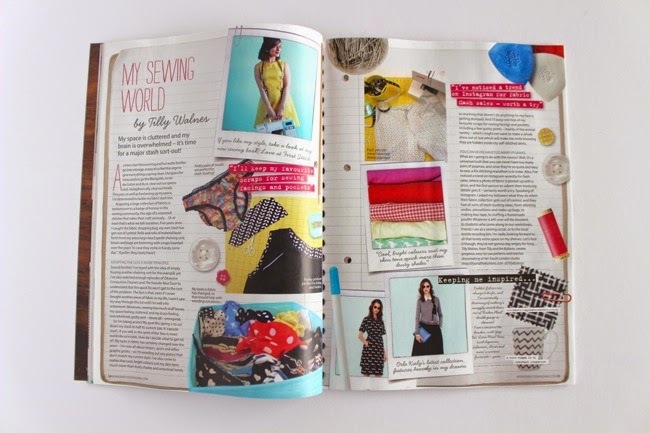 It's published by the same people as Mollie Makes, and features bright, modern colours and great styling. 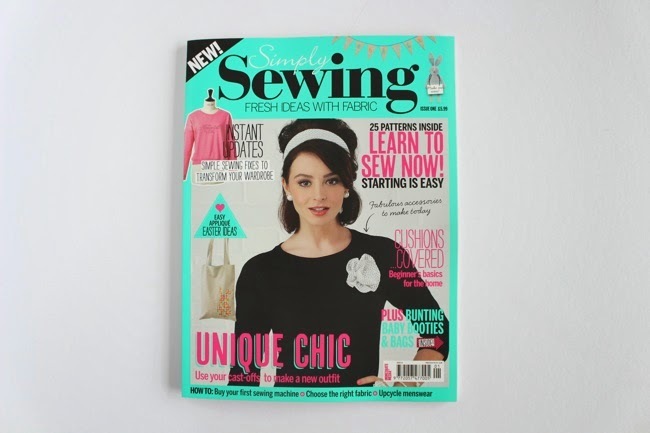 There's a whole ton of useful information and inspiring sewing ideas inside, from a guide to buying a sewing machine, to refashioning projects such as a pashmina-to-top tute from Portia and a homemade hot water bottle cover (I'm definitely making one of those! 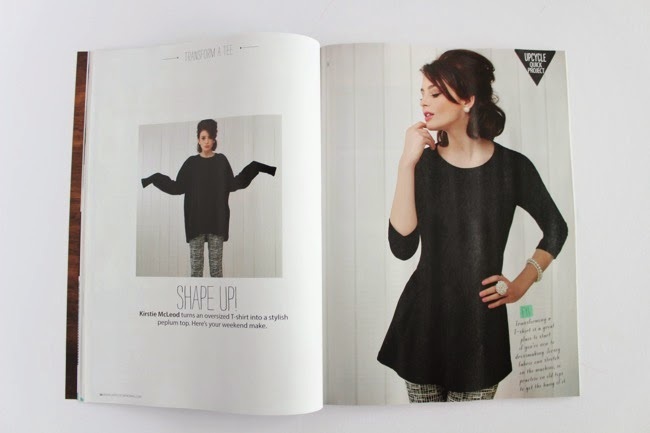 ), to a hand embroidery 101, and garment projects such as a downloadable dress pattern from Lauren's book and a printed Japanese pattern for a child's dress.